Ouellet, Henri. "Woodpecker". The Canadian Encyclopedia, 04 March 2015, Historica Canada. https://www.thecanadianencyclopedia.ca/en/article/woodpecker. Accessed 22 April 2019. Woodpecker (Picidae) is a large family of climbing birds comprising 216 species. The yellow-shafted and red-shafted flickers are considered subspecies of a single species called the northern flicker (Corel Professional Photos). The pileated is by far Canada's largest woodpecker (Corel Professional Photos). Both sexes of the sapsucker have a black breast patch and yellowish-white abdomen (Corel Professional Photos). The completely red head and neck and the black and white body make the red-headed woodpecker unmistakable (Corel Professional Photos). The downy is Canada's smallest and most common woodpecker (Corel Professional Photos). The northern flicker secures ants by a sticky secretion of the salivary glands that covers the long, extensible tongue (photo by Brian M. Wolitski). Woodpeckers have almost worldwide distribution. Fourteen woodpecker species occur in Canada. These are red-bellied, red-headed, Lewis's, hairy, downy, white-headed, three-toed, black-backed and pileated woodpeckers (Melanerpes carolinus, M. erythrocephalus, M. lewis, Picoides villosus, P. pubescens, P. albolarvatus, P. tridactylus, P. arcticus and Dryocopus pileatus, respectively); yellow-bellied, red-breasted, red-naped and Williamson's sapsuckers (Sphyrapicus varius, S. ruber, S. nuchalis and S. thyroideus); and northern flicker (Colaptes auratus). Woodpeckers rarely perch. They are primarily arboreal, although some species such as the northern flicker spend much of their life on the ground. 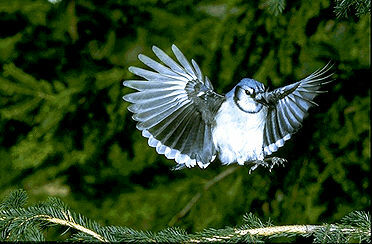 Most species are nonmigratory; however, many found in Canada migrate. Their flight is strong, rapid and undulating. 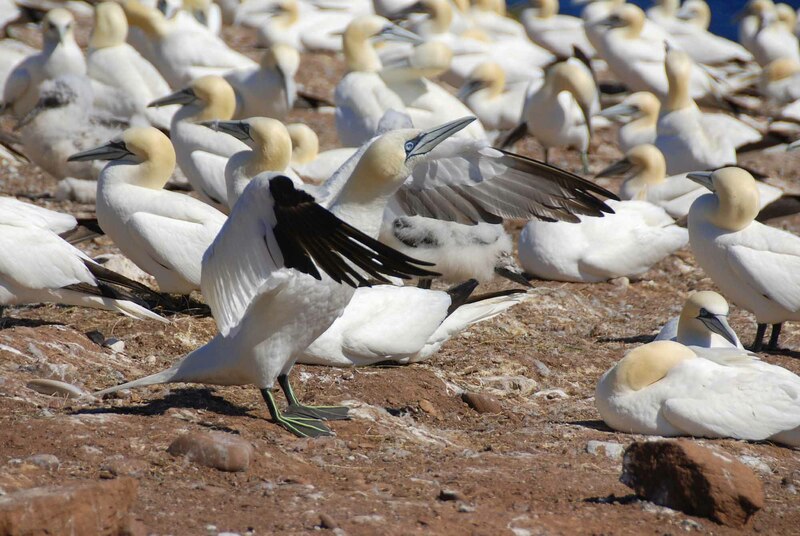 These birds vary in length from 8-60 cm. Plumage can contain black, white, yellow, red, brown or green, in various combinations, and they often have red or yellow on the head. Many species are barred, spotted or streaked, especially on underparts; several have a prominent crest. Woodpeckers are heavy bodied and have moderately long, rather rounded wings, and round or wedge-shaped tails. The chisel-shaped bill is strong and usually straight. Nostrils are hidden under tufts of bristlelike feathers. Usually, legs are short and strong with 2 toes in front and 2 behind. A few species (2 occur in Canada) have 3 toes, 2 in front and one behind. The toes have strong, sharp, downward-curving nails, allowing the birds to cling to vertical tree trunks or to undersides of branches. Stiffened, pointed tail feathers provide support when the birds climb up and down trees. Woodpeckers have a loud voice and a variety of call notes. They also drum with the bill, particularly during nesting season and when they have found a particularly resonant surface. Woodpeckers are very useful in destroying larvae of wood-boring insects. With chisellike bills, they dig into tunnels in wood where larvae live. Studies show that trees in which they dig holes contain larvae even if they appear insect-free. Sapsuckers bore a series of holes in the bark of deciduous trees to obtain running sap. Certain species (eg, northern flicker) secure ants by a sticky secretion of the salivary glands that covers the long, extensible tongue. Most species eat berries in season; some even snap insects in flight. Woodpeckers excavate a cavity in a tree trunk or branch, rarely in a bank, for nesting. White eggs (2-8), laid on a layer of wood chips, are incubated by both parents. Young are naked at hatching and remain in the nesting cavity until ready to fly. They are cared for by both adults. Downy WoodpeckerHinterland Who's Who profile of the Downy Woodpecker.